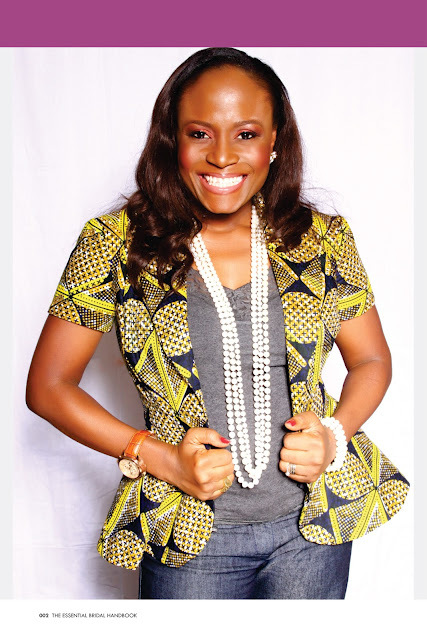 Foremost event planner, Funke Bucknor-Obruthe is set to launch a compendium titled ‘The Essential Bridal Handbook’ which will be a ground breaking and explicit body of work in event planning and management. ‘The Essential Bridal Handbook’ which has already been published is set to be launched on the 31st of March, 2012 at the Civic Centre, Lekki, Lagos. The founder & creative director of Zapphaire Events, an enterprise whose areas of expertise are in consultancy, marketing, planning and management, has put together her experiences based on many years of involvement in the event planning business along with contributions from major stakeholders, specialists and icons in the events management industry. The Bridal Handbook, which is a first-of-its-kind, has 17 chapters in all and it contains loads of practical information like themes and colours, budget and worksheet, wedding wardrobe, decoration and flowers, culinary, music and entertainment, transportation and honeymoon amongst many other interesting parts of a wedlock. It is a practical guide for anybody who plans to be involved in the marital process and it is applicable in Nigeria and in some parts of the world. The handbook shines light on significant issues and phases before, during and after the wedding process. The handbook offers comprehensive information about every aspect of the planning process which will assist every bride make worthwhile decisions and also includes checklists and worksheet to keep them organized. It also has the very essential journal page which encourages the users of this handbook to record their ideas and thought as they go through the planning process. This colourful handbook has a lot of great features and is easy to read; it is intended to be a resource directory on the latest trend in wedding planning. It contains information of various service providers in different fields and has tabs for easy category finding, a bridal calendar and many more interesting features. ‘The Essential Bridal Handbook’ is already available at various stores nationwide and some of these stores include; House of Tara, BM Pro, Silver Galleria Stores, SAS Textiles Store and Terra Kulture.